Our application requires your device to be on Android Version 4.4 or higher due to this version supporting video autoplay. It is recommended to run our client application on a rooted device, but it can also be ran on non-rooted devices. Since our application communicates with our server it is mandatory to enable wifi or a Ethernet connection for communication. 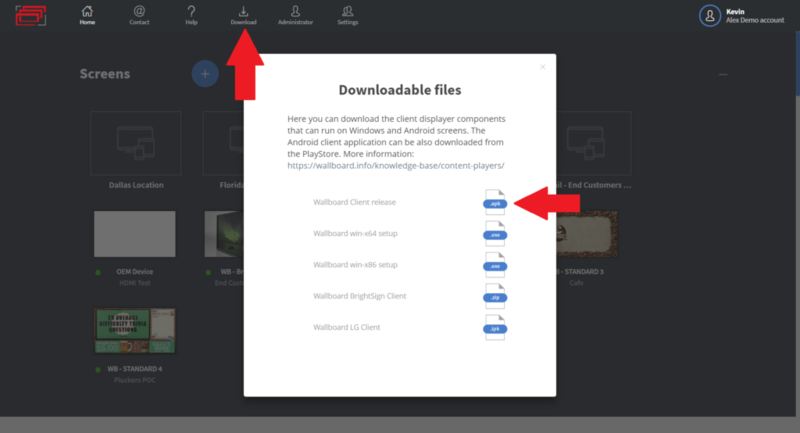 You can download the latest version of our Android APK from your home screen by selecting the “Download” icon and then selecting the .APK file.